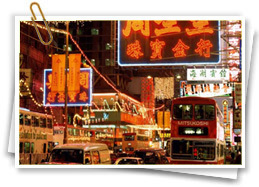 Hong Kong Disneyland is located on Lantau Island, surrounding by mountains at three sides and facing the South China Sea. It is the smallest of the world's Disneylands resorts with an area of about 1.1 square kilometers or about 280 acres. 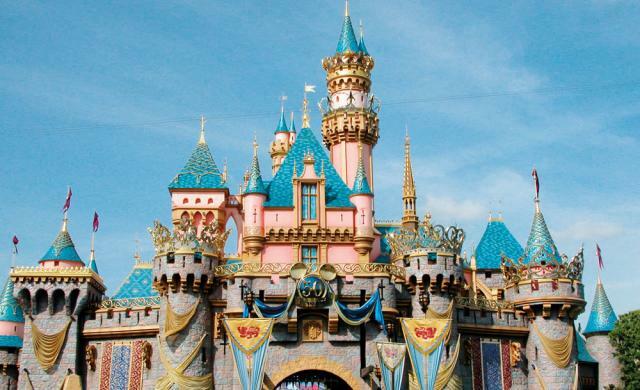 As the fifth Disneyland Park built in the mode of Disneyland and the eleventh theme park of Disneyland in the world, Hong Kong Disneyland Park is the first one take California Disney (including the Sleeping Princess Castle) as the base. On entering the park, you will be captured by the feeling of being in another world with countless excitement and adventures. 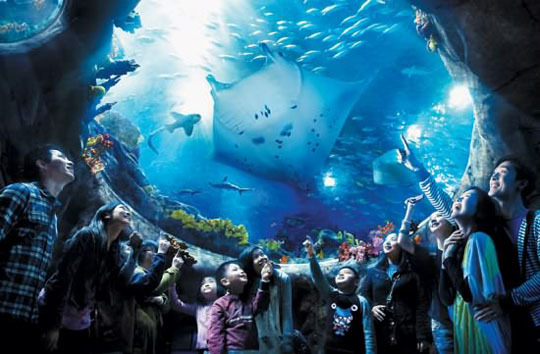 There are four theme areas in the Hong Kong Disneyland Park, namely, the Main Street, U.S.A., Adventure World, Fantastic World and Tomorrow World; all of them may bring you numerous fun and wonderful experience. On the Main Street, U.S.A., you can enjoy the typical old architectures from America, all kinds of classic antique cars as well as taste the delicious food from both western and eastern countries; in the Adventure World, along several broad rivers and through the African extensive grassland, in the mysterious Asian forest and at the Taishan Island, a brave pilot will lead you to explore the wonders and secret remote scenes of the great nature; the Fantastic World is a fairy-tale world full of happiness in your dream, and in it there are beautiful and kind-hearted Snow White, pure and lively little frying elephants, cute and naive little Winnie Bears, all characters in tales bringing you happiness and fancy; in the Tomorrow World, you can experience the thrilling trip in the outer space and explore the endless universes. 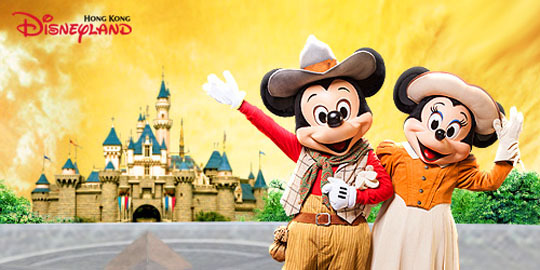 What's more, there are Hong Kong Disneyland Park Hotel and Disneyland Hollywood Hotel where you can enjoy to the most the fairy-tale world and movie world, surprised by Disney characters here and there. Before entering the park, you can take some travel brochures like Park Guidance and Activity arrangements at the customer service center at the left side of the entrance, which may help you a lot to arrange your time and activities. Hong Kong dollar and Renminbi are accepted in the park, and if you need to change some money, you can do it at the customer service center. VISA, American Express Card, Master Card, JCB Card and Union Pay Card are also accepted in the park. You'd better take sun umbrella, hat and sunglasses your skin against the sunshine since there are few places for shade. There are smoking area and non-smoking area in the park, you should pay attention to it or the fine may be as high as HK$5000. For those who like outdoor activities, perhaps the major benefit of its location is the undeveloped mountains, coastlines and beaches of Lantau Island. 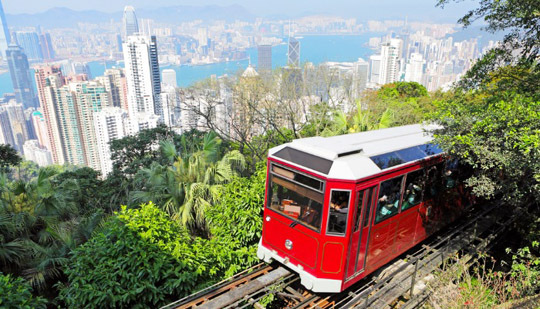 It is Hong Kong's biggest island and is sparsely populated, and it has some of the most popular trails in Hong Kong including one nearby called the Lantau Trail that goes to the top of Lantau Peak. There are a lot of accommodations for people wanting to hike and find solitude in the mountains. People can also go swimming and hike to empty beaches. The paths are generally well maintained. People go to Lantau Island to get away from the city and enjoy the outdoors. Enjoy the rides and the fantasy park. Relax in the resort facilities. Hike and enjoy the outdoors on the nearby mountain trails and beaches. Go to the Inspiration Lake Resort Center for strolls in the park, exercise, and fun on the water. 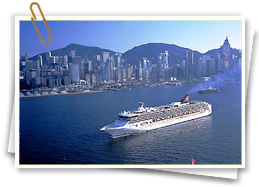 If you want to go to modern Las Vegas-style resorts, Macau is not far away by ferry. Next to Discovery Bay and the North Lantau Highway on the western shore of Lantau Island. Hong Kong Disneyland's location provides some benefits that the other Disneylands don't provide. One benefit is that transportation is quick and convenient. 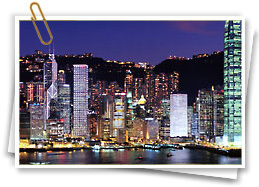 It is on the western side of Lantau Island and is about 12 kilometers away from Hong Kong International Airport. 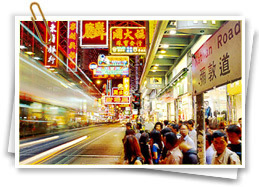 The resort is on the MTR subway lines between the airport and the city. Hong Kong constructed a special Disney MTR line for the resort. This makes travel convenient and quick. Another benefit of the location is that undeveloped land and coastal area is available for future expansion. There is a special MTR line that was made especially for the Hong Kong Disneyland Resort to connect the resort with the Hong Kong International Airport and the Tung Chung Station that serves it. The Tung Chung Station is the terminus for an MTR line that connects the airport to the city. The special MTR line is distinctive because there are only two stations on it at Sunny Bay and the resort and because the cars have Disney décor with Mickey Mouse windows. The special line makes travel convenient and quick. Passengers taking the Airport Express can access to the Disneyland Resort by changing to the Tung Chung Line at Tsing Yi Station, and alighting at Sunny Bay Station for the Disneyland Resort Line. 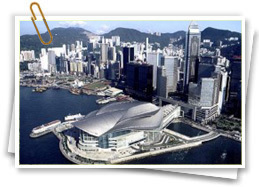 From Hong Kong Station that is under the tall International Finance Center that is between Man Cheung Street and Harbor View Street, take the Tung Chung MTR and get off at Tung Chung Station. Travel takes about 35 or 40 minutes. Then walk over to the Sunny Bay station and get on the Disney line. Monday to Friday 10:00 am to 8:00 pm. Weekends 10:00 am to 9:00 pm. During holidays, the park hours may vary. Prices vary depending on the day or season.